Der Beitrag: Fire at the Algarve summer 2018 wurde am Thursday 09 August, 2018 veröffentlicht und unter General abgelegt. 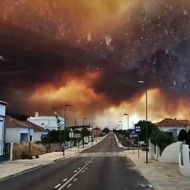 The fires started in the Monchique region and have now reached the city of Silves with an extension of 23,000 hectares or 3221 football fields. The clouds of smoke, a mixture of ash, sand and smoke have darkened the sky. Even the sun was visible during the day only as a small red ball. Left picture: a publication of the system Copernicus of the EU. 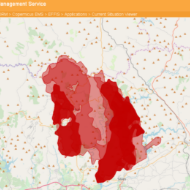 Here you can see the huge spread of the fires. 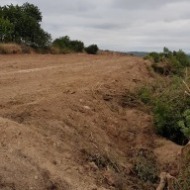 Since the fires were now quite close to our property boundaries, we have pushed extra wide fire curtains with our heavy machinery to protect our plantations. 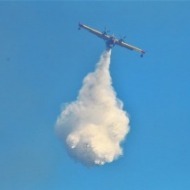 In total, more than 1300 people, 347 vehicles and 17 aircraft and helicopters were officially used for fire fighting. They now could stop the fire. We survived everything well !! Now it's time to clean, get rid of this sticky ash mixture again. And next spring to plan the re-planting of the firelines. Gott sei Dank das ihr alles relativ gut überstanden habt. Viel Kraft für die Aufräumarbeiten. Grüße aus dem Norden von Deutschland und Danke für die immer so super gute Qualität und Lieferung eurer Produkte. Wir bleiben euch treu .